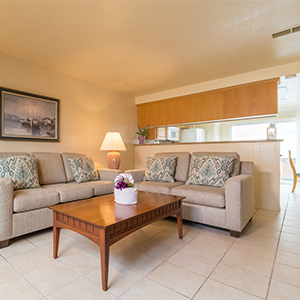 Your light infused one-bedroom condo offers a seaside respite for up to four guests. 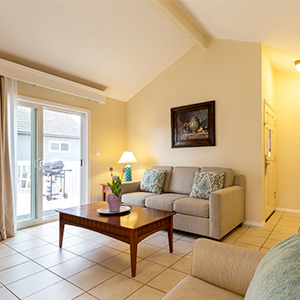 Use the full kitchen to prepare coastal-inspired cuisine, which you can enjoy on your private patio or balcony. Plush bedding ensures you sleep deeply and wake refreshed for a new day at the beach. Please note, most units are accessible by stairs only. There are no elevators on property.